Best Car Transport. Quality Vehicle Shipping, UK-Ireland-Spain-Portugal. Are you looking for the Best Car Transport company? You’ve found us! Quality vehicle shipping services between the UK & Ireland and Spain & Portugal. You car is in great hands with Best Car Transport. Best Car Transport offer car transport services between the UK, Spain and Portugal. Our door-to-door car transport service is quick, reliable and fully insured. 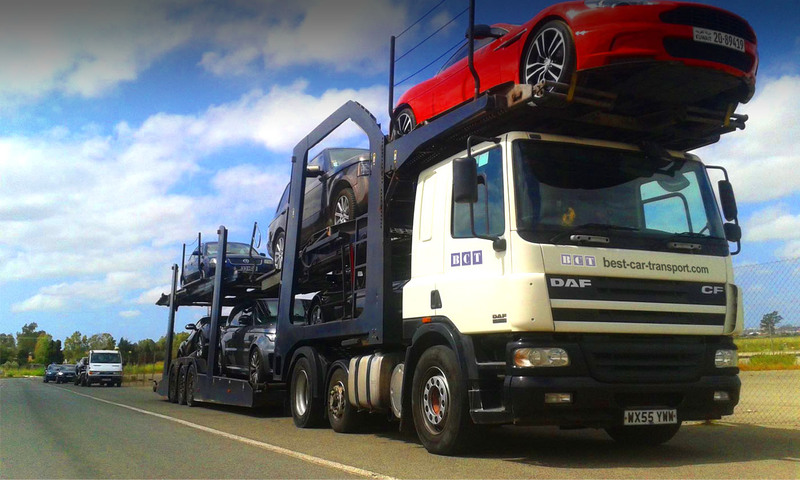 Our modern, multi-car transporter vehicles are regularly maintained for a guaranteed quality service. Our standard car transport routes from Spain and Portugal to and from the UK pass through Spain, reaching the northern coast from where ferries are taken to the UK. Best Car Transport’s fully insured and compliant car transport service offers you complete peace of mind at prices that just can’t be beaten. Our decades of experience in pan-European vehicle transport and our commitment to a quality service are your guarantee of the safe and reliable delivery of your precious vehicle. Alternatively, our door-to-door, car transport service gives you complete peace of mind. We collect your vehicle with our local transporter, taking it to one of our depots through Southern Spain, Portugal and the United Kingdom, from where it boards the international transporter. If you need the finest quality vehicle transportation service for your vehicle, Best Car Transport are the people to talk to. Get in touch for your quote. You won’t be disappointed. Drive in, fly out! Fly in, drive out! If you are driving to Málaga Airport, just leave your vehicle at our depot at Málaga Airport and we do the rest! Enjoy your flight in the knowledge that your car will be safely transported to your destination. The same is the case for our Purfleet and MXM depots in the UK. Best Car Transport has a big capacity to store your car for unlimited time. Your Car is Completely Safe! Your vehicle is always sully covered by all required insurance certificates, including Public Liability, Goods in Transit and CMR policies.